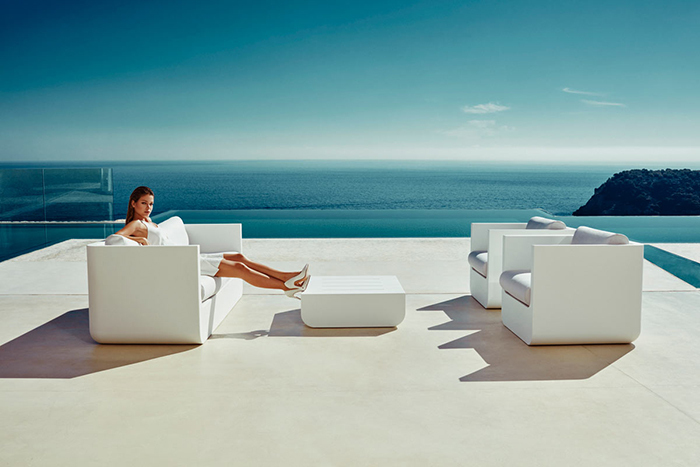 Collection of terrace furniture ULM by Ramón Esteve for Vondom factory looks for unity with other details of design. Sofa and chairs, couch, coffee table and ottoman have a rigid and stable construction for recreation, providing total comfort. 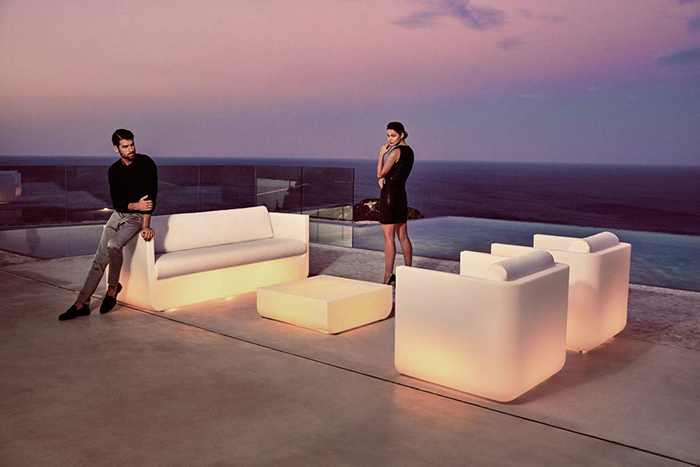 The entire collection ULM comes with built-in lighting, underlines the innovative quality and outlines models. The ULM Couch ULM reminds of a seashell balancing on the floo. Designer Ramón Esteve achieved refined and pure look of ULM collection through the use of spherical geometry. Swivel function makes it easy to rotate the piece around its axis. As for the other parts of ULM collection, they are enforced with all the necessary qualities and high usability and functionality without unnecessary elements. 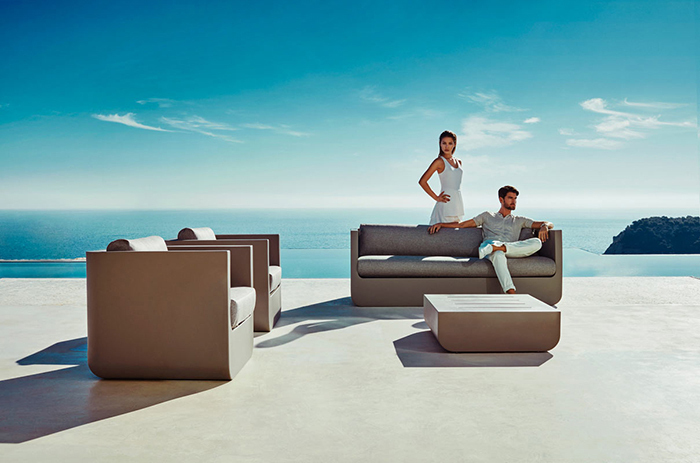 ULM furniture collection fits easily into any outdoor setting and is easy to maintain. Vondom is the only factory that manufactures its own collection of technical rubbers, using the method of rotational molding castings for special forms with subsequent manual processing. This technology allows you to create unique models and unique designs for each new collection.